Today, Yapeco brought Augustine’s cousin Astrid to our afternoon meeting on the patio. She told us that she had seen us on a local TV program yesterday. The footage came from our visit with the Mayor. At the time, there had been a number of journalists who filmed and interviewed. 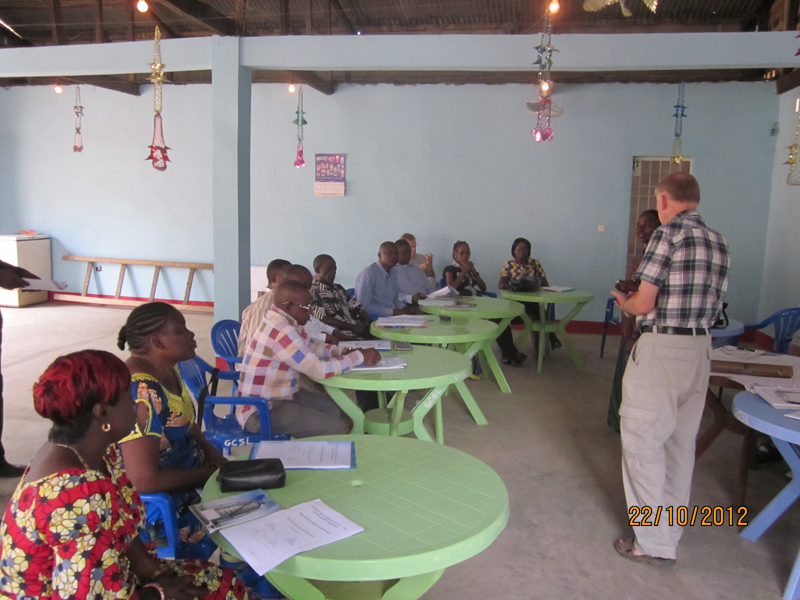 Lennart had explained the activities of MSG to them and Julienne had translated. 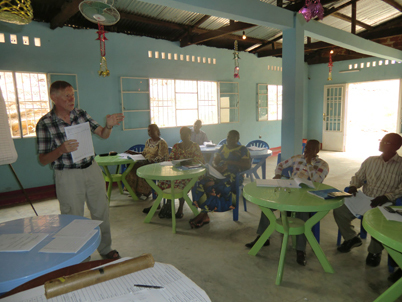 Lennart has thus become something of a TV celebrity in Matadi. We always value the free advertising. There are few mundele in this town which makes us easily visible. People often cry out “mundele” when they see us. I am a little unsure of what the word really means for and what it stands for to a Ndombe. In any case, they do not seem angry when they say it. 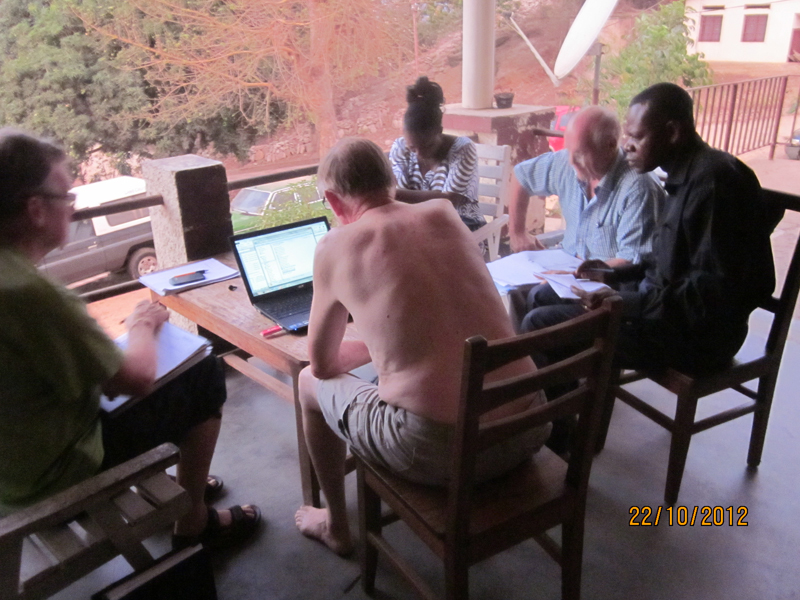 At our patio meeting we went through the pricing of the goods in the container that will come on 28 October, and of solar cell lamps that will hopefully get here by the New Year. We met a new group of entrepreneurs at 9 a.m. in the Youth House. Unfortunately, we got a lengthy start, it took almost an hour for the last participant to arrive. He will now have to sprint to catch up with the rest of them. 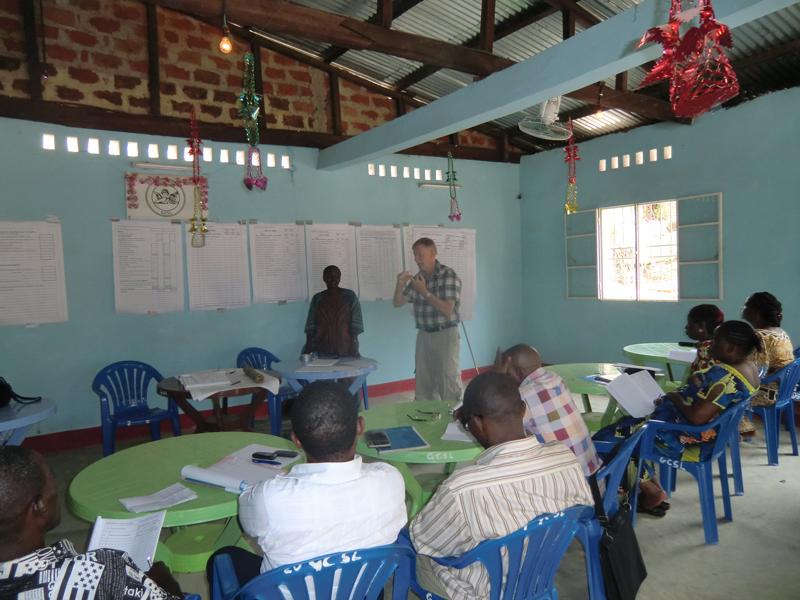 We started with the traditional prayer, switching off mobile phones and then a presentation. Julienne went through the 30 items of our concept. Then she talked about marketing and costing, and they received their first homework. Today was probably the hottest day so far, 39 degrees C, according to Astrid. We northerners do not feel very well in this temperature. Work capacity drops significantly, and even to the Congolese this is on the warm side. 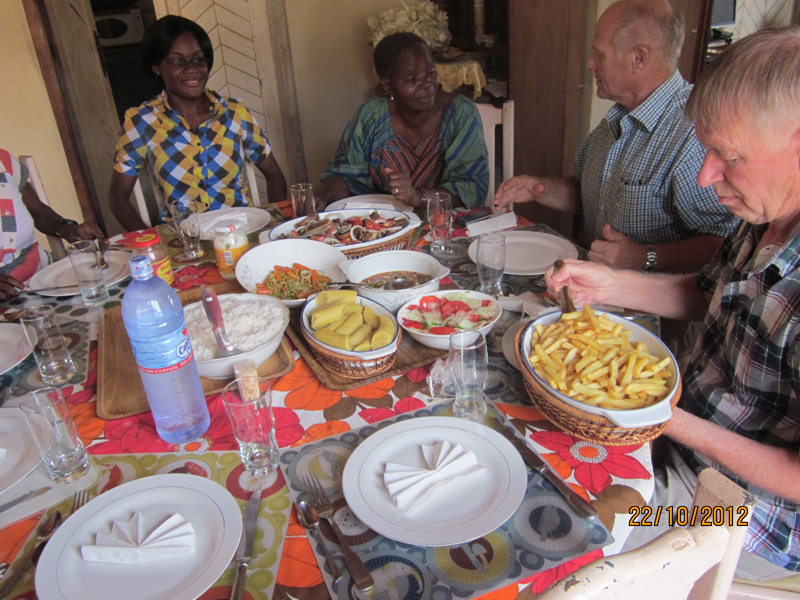 For dinner today Augustine served spareribs, rice and french fries, fried bananas and vegetables, and a fruit salad for dessert. She wants us to have goodies to our afternoon coffee, so she sent a jar of goodies with us when we went home. After returning home, as usual, a siesta, then paperwork, calculations and preparation.